Features "Arcade Mode" with six different paths. Update 10:10 a.m.: Capcom has officially announced Street Fighter V: Arcade Edition for PlayStation 4 and PC. Read more here. Original Story 5:15 a.m.: Amazon has listed a “Street Fighter V: Arcade Edition” for PlayStation 4 with a release date of January 16, 2018. New Visuals – The user interface is being redesigned with new color schemes, revised menus, and exciting pre-and-post-fight effects. 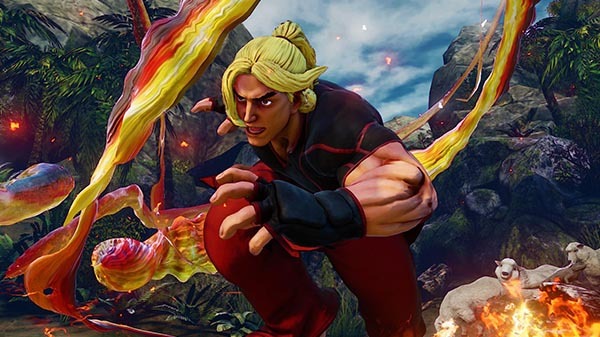 Street Fighter V first launched for PlayStation 4 and PC worldwide on February 16, 2016. Unlike its predecessors, which saw multiple updated releases, Street Fighter V has yet to see an updated release.